The audiobook of “Sadie” is, in my opinion, the only way to experience this story. Between Sadie’s stutter and the podcast format of the chapters, the full narrating cast really brought this book to life. As far as YAs go, this book feels firmly in the about-young-adults category as opposed to the tropey-romantic-fantasy category. 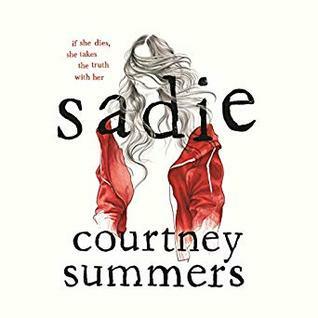 “Sadie” is about a young woman who suffers from a debilitating stutter after years of physical and sexual abuse, and she’s hunting for the killer of her younger sister. This book is dark and super twisty with an ending that took me aback. It left me thinking about it for days afterward. It’s not an easy read and honestly, there’s no respite. Occasionally, I felt like some of it was a bit gratuitous without a cathartic pay-off, but ain’t that just real life sometimes? “Sadie” is written so earnestly and realistically that I had a hard time remembering this was not about a real criminal case. For me, this was a standout book in a oversaturated YA market and one with solid audio performances. Sign into Goodreads to see if any of your friends have read Sadie.